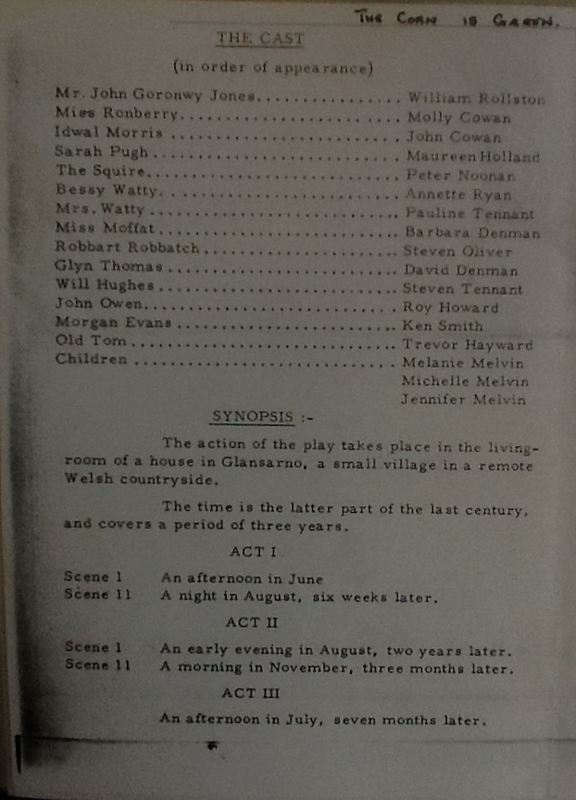 “The Corn is Green” was performed at the Theatre Royal on Thurs 7, Fri 8, & Sat 9 Nov 1963. William Rollston, Molly Cowan, John Cowan, Maureen Holland, Peter Noonan, Annette Ryan, Pauline Tennant, Barbara Denman, Steven Oliver, David Denman, Steven Tennant, Roy Howard, Ken Smith, Trevor Hayward. Children: Melanie Melvin, Michelle Melvin, Jennifer Melvin.